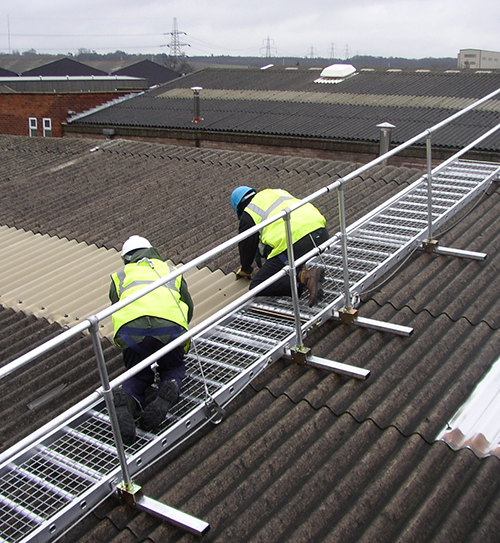 The Industrial Roof Access Equipment has been designed to overcome the challenges of working on fragile roofs, and is ideal for providing short term protection for work on fragile or industrial roofs. The range has been specifically designed for use on fragile materials and provides users with safe, easy to assemble working platforms for skin maintenance, inspection, cleaning or re-sealing work. 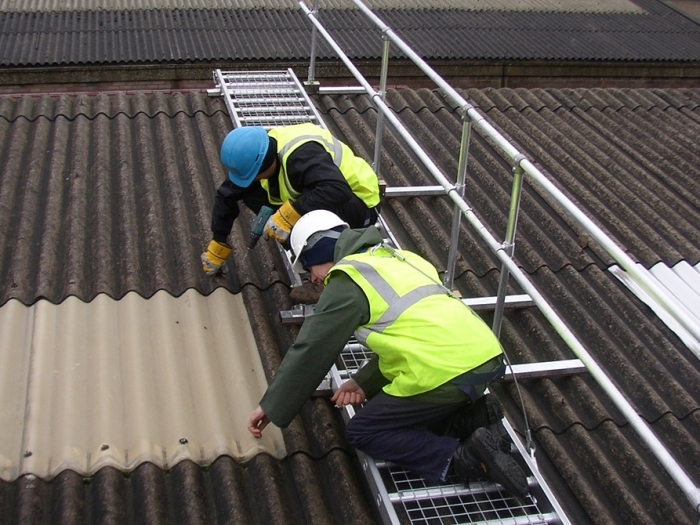 The industrial roof access equipment is intended to simplify short duration roof work. 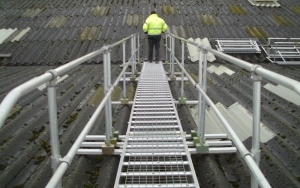 The Board-Walk system is an open mesh walkway,which provides access from the eaves to the ridge, by spreading the weight across the support battens. 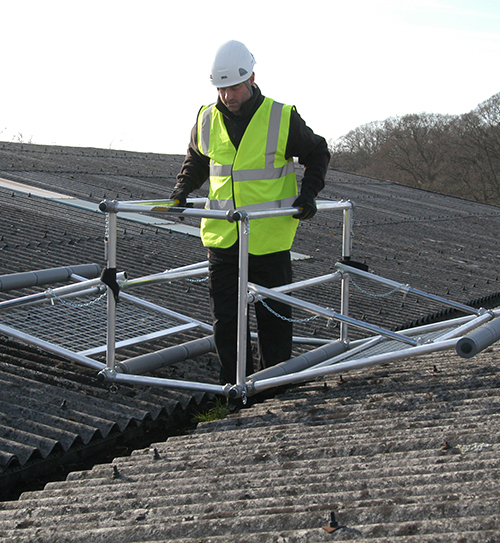 The system is lighweight, easily portable and suitable for fragile roofs.The Board-Walk system is compliant with BS EN 12811-1: 2003. 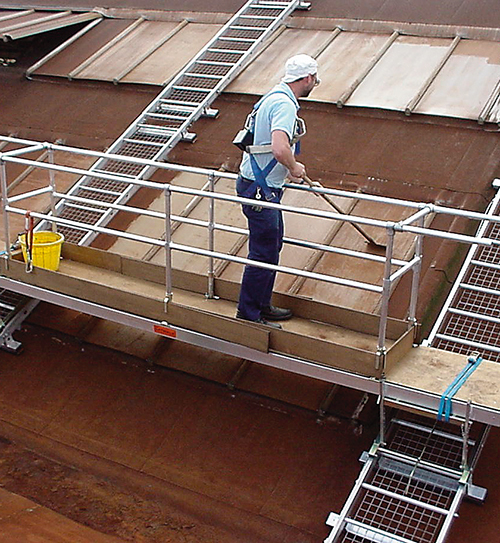 The Roof-Walk system has been designed for use on industrial and fragile roofs. Roof-Walk is a fully guarded rolling work platform mounted on twin tracks, which enables workers to move freely up and down the roof. A lightweight portable frame with mesh side panels, which allows the user to move freely along valleys, northern lights and box gutter details on fragile roofs.